You can hide from love for so long before it smacks you across the face. Fridays/Saturdays at 8 p.m., Sundays at 2 p.m. 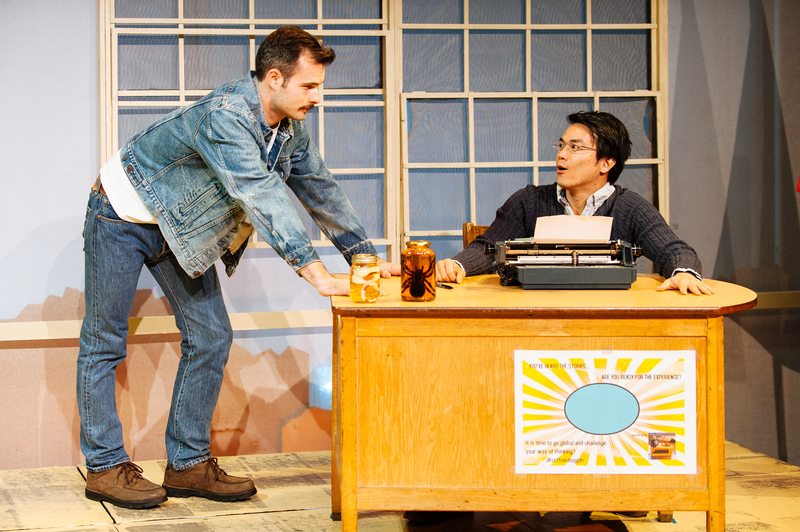 In this modern re-imagining of Cyrano de Bergerac, Travis Park is a high school English teacher and L.A. transplant enjoying small-town life in Breakneck, Wyoming. He attends meetings for a two-member Asian American Alliance led by militant friend Chester. He hangs out with Caucasian friend Del who is trying to move out of his dad's house. Travis is content escaping big-city life ... until whip-smart, attractive Veronica Lee arrives from New York with her own dating preferences, which include guys like Del. 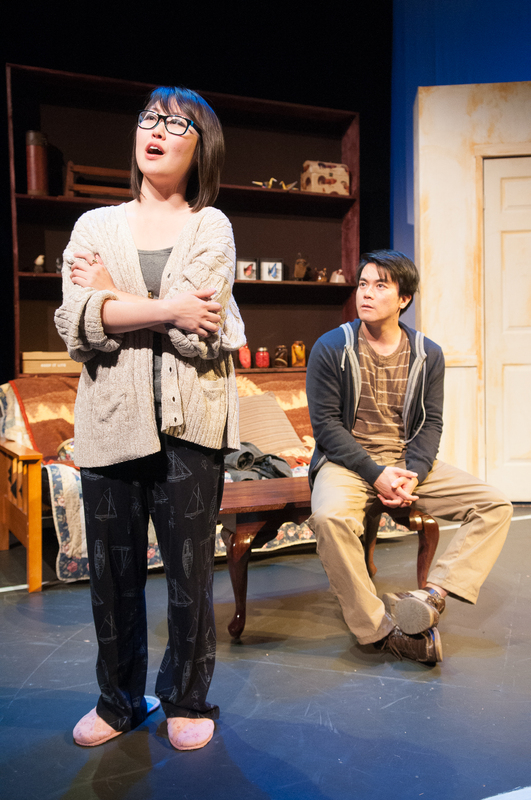 Through irony and humor, Cowboy Versus Samurai exposes the social struggle of Asian Americans to find their place in the vast American landscape and with each other. Watch the Cowboy Versus Samurai promo video! in Cowboy Versus Samurai. Photos by Michael C. Palma.